Buildings and Cities Designed to Live and Work with Water. Aquatecture brings together over a decade of the practice’s research, firsts, techniques and lessons learned into a concise volume. This book is an ideal reference tool for all architects, urban designers, planners and sustainability experts who have an interest in creating a beautiful, sustainable, intelligent and pleasurable built environment on land, in water and with water. Water plays a vital role in shaping our built environment, as it has done for centuries. We depend on it, we use it, we live with it and we must respect it. 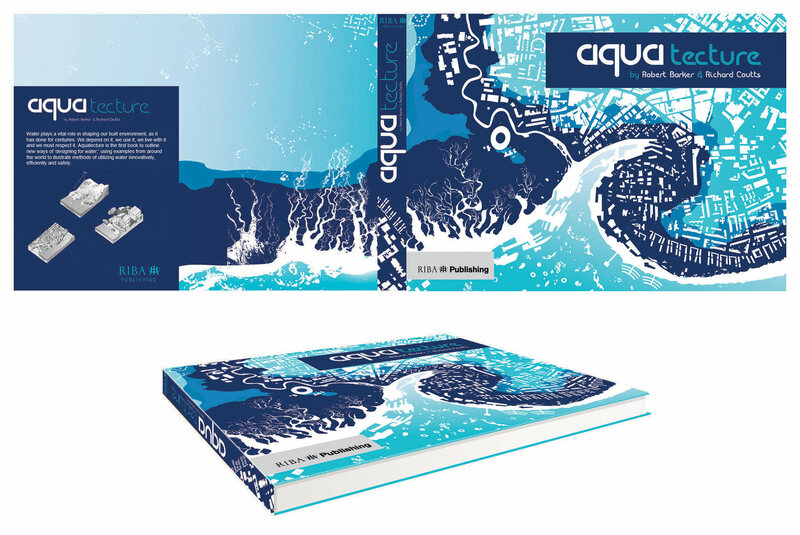 Aquatecture is the first book to outline new ways of ‘designing for water,’ using examples from around the world to illustrate methods of utilizing water innovatively, efficiently and safely.The first part of the book explores the historical relationship between water and architecture, examining how cities and civilisations have been drawn to water and have attempted to control it. The chapters go on to assess how this relationship has changed over time, and introduce readers to a range of brand new techniques that will revolutionise the way we think about water, design and urban planning. The book introduces the reader to a range of new building techniques such as amphibious housing, wet-proof buildings, zero-carbon development, rain gardens, flood storage and new methods of waterfront design are discussed and their effectiveness assessed. At a building scale Chapter 7 provides a detailed case study on the UK’s first Amphibious House. This chapter illustrates how the origins of the LifE project have manifested in a built form and sets out some of the key challenges and lessons learned from delivering this new typology in the UK. Practical technical advice sits alongside ambitious ideas for the future. This book is an ideal reference tool for all architects, urban designers, plannersand sustainability experts who have an interest in creating a beautiful, sustainable, intelligent and pleasurable built environment -on land, in water and with water. Policy makers, planners, architects, students and clients attended the book launch at the Royal Institute of British Architects. We extend our thanks to all those who have contributed to a decades worth of research built work, especially our pioneering Clients.